Browse: Home » To Do List Interviews The Ethel Mermaids Ahead of Angela Lansbury Night! To Do List Interviews The Ethel Mermaids Ahead of Angela Lansbury Night! Ahead of their Lans-tastic Hackney Attic Takeover this Friday, we caught up with hosts The Ethel Mermaids to talk Angela, offbeat London fun & frolics & more! 2014 is set to be the year of Lansbury! We’re really excited about your Angela Lansbury night on Friday – what is it about the old Dame that makes her such an icon? We’re hoping our audience will help us put a finger on that. She’s an odd one for a camp icon. She’s not bitchy or bawdy and doesn’t wear massive wigs. She seems to be a favourite of queers and non-queers alike. Murder, She Wrote is obviously a jumping off point for many – it’s quite extraordinary in its sublime cheesiness. We love that her character, Jessica Fletcher, has inspired everything from a Twin Peaks cross-over zine (Angela by Chrissy Williams and Howard Hardiman) to a very in-depth blog about her fashion (Exploring Jessica Fletcher’s Closet). But there’s more to Ang than JB. Dame Lans has had a really long career on stage, screen and TV, not to mention her cult exercise video for seniors – Positive Moves – that will be quite a key feature of our Ang Night. Ang is not a ‘diva’; she’s hyper-cartoony-sweet with an edge of slightly bizarre and we think that’s a large part of her appeal. Who are your influences for Angela Lansbury Night? Ang, obvs…! Along with queer cabaret and club nights, the glory of Hollywood and old school Broadway, and the wonders of the circus midway. The event will be like our online presence come to life with outright celebration of our Featured Icon and a bit of weirdness along the way. Before the show kicks off, punters can chow down on Burgers, She Wrote and Ang-themed cocktails whilst trawling our side shows. The evening is going to be quite the mix of performance, film, sing-a-longs, trashy alt culture, and club night. To round off the night everyone can shake their collective Lansbury-asses to scorching tunes from London’s hottest lady DJs. It will be a Lansblast and we cannot wait. How did the Ethel Mermaids come about? Cher is responsible. Or rather The Amy Grimehouse Cher Day held back in 2012. Kev was selling his Cher art and Corinna and Becky bought one. As lovers of celebrity and bad art we all got chatting and realised we had tons in common and wanted to work together. The EMs have evolved into an online and Real Life mix of art, performance and celebration of our queer icons. As well as putting on our own events we collaborate with The Amy Grimehouse a lot: making films, doing art and craft workshops and selling stuff at their immersive cinema evenings. Our online presence has become its own magnificent beast with our Facebook page exploding in the last year; people seem to love the mix of camp, queer, trash and fun we have on the page. For our blog we’ve interviewed those who have made important dents in queer culture but have often gone under-the-radar. 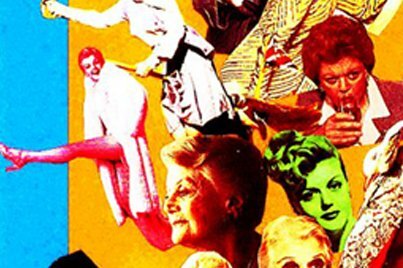 The Angela Lansbury Night is our latest fundraiser for Ethel’s charity-of-choice, LGBT Jigsaw. What are your favourite off beat places and things to do in London? Our list is literally endless but as space is at a premium, off the tops of our heads: Smithfield Market, The Friendly Society, Phoenix Artist Club, The Coffee House in Soho and all kinds of free stuff and bargains. We’re pretty thrifty and often find cheap ways to do London. We’re all in Forest Gate, so we’re East London, but it’s the untrendy, proper East. We love to hang out in The Stratford East Theatre Royal bar or trawl for cheap and bizarre goodies in the underworld that is InShops in old Stratford. But we’re truly happy slobbing around our FG manor, buying cheap but wonderful Indian food for a quid from East More, getting our pudding from La Sponge and then treating ourselves to something special for our homes from Angie’s Stock Shop. ‘The Gate’ has so much to offer and we often say that we’re prime for the cast of The Real Housewives of Forest Gate. You just know that when the hipsters get tired of Shoreditch and Dalston they’ll all move to Forest Gate. You know, by 2025 or thereabouts. 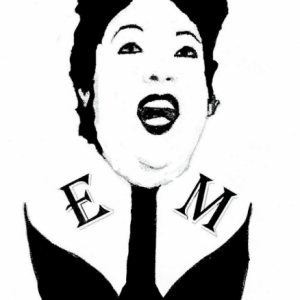 What are The Ethel Mermaids looking most forward to in 2014? Obviously our Ang event! But also what it’s for. Jigsaw have invited us to head a community arts programme for their service users, who are homeless queer youth. 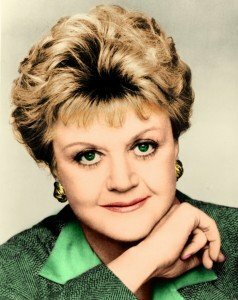 The money raised from our Angela Lansbury Night will fund a series of workshops throughout the year. We’ve a lot of ideas but our main criteria for the programme is ‘super fun’.